I love dinanderie ware and this is a lovely example by Lucien Gerfaux. 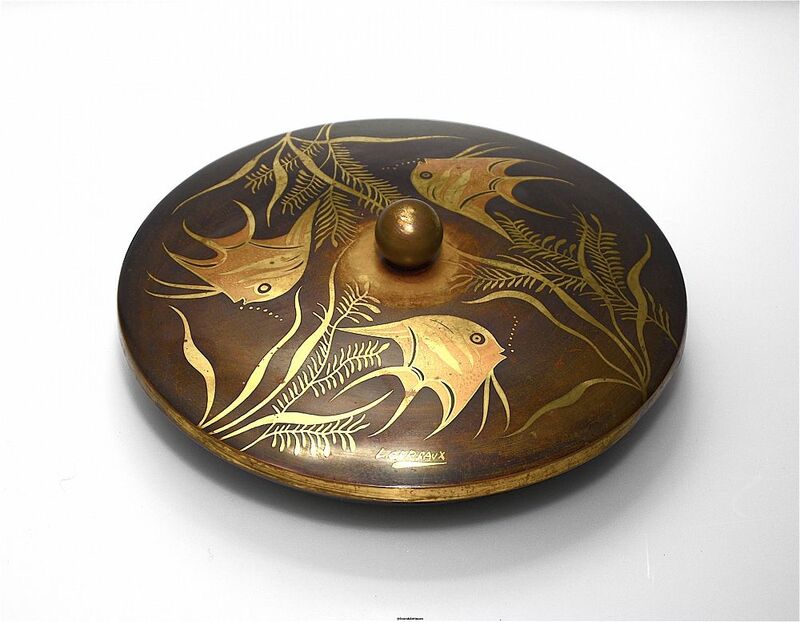 Made in France during the Art Deco period it is a large lidded bowl made I believe of brass that has been enamelled in brown. 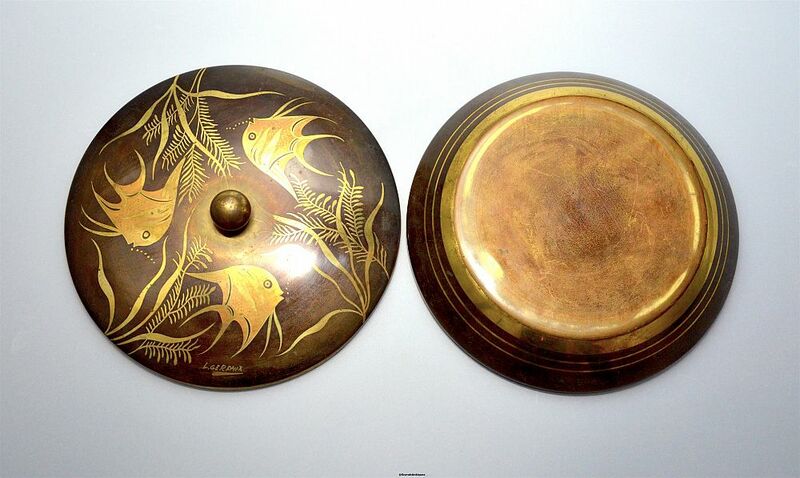 The lid has 3 gilt & copper angel fish swimming around the lid amongst gilt coloured seaweed & fronds. There is a spherical finial. The lid is signed "L. Gerfaux".